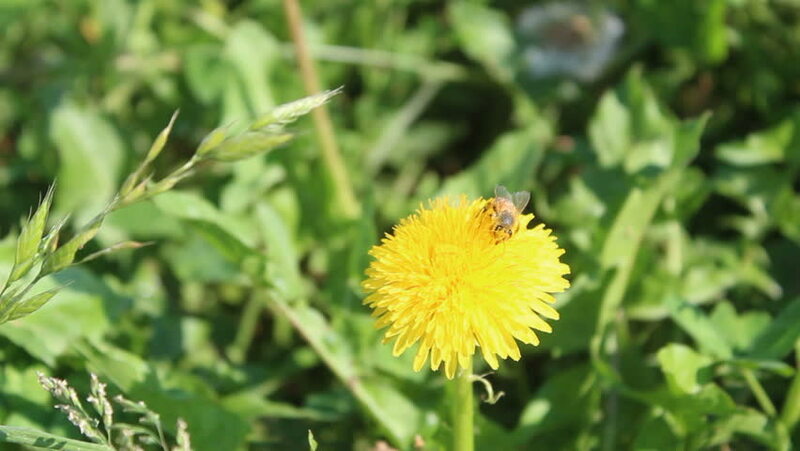 A wasp pollinates a bright, yellow dandelion/Wasp on Dandelion/A wasp pollinates a bright, yellow dandelion. hd00:17A bee on a yellow dandelion removes pollen from the eyes and antennae. Spread its wings, it takes off.